Earlier this month, Bio Sculpture Gel debuted several new products for its educators, and the company let me, a few other members of the beauty press, and several local salons who use the company’s product line, get a first-hand look at the additions. Inspired by natural ingredients, the company launched a high-end complete spa line, which features ingredients like rose petals, mineral oils, peppermint oil, and collagen amino acids. The gently scented line includes everything you’d need to do a soothing manicure or pedicure and features Spa Potpourri Aqua Soak, Hand Wash, Spa Potpourri Salt Scrub, Apricot Kernel Scrub, Mint Mask, Hand and Body Butter, Hand Cream, Cuticle Cream, and Heel Balm. Bio Sculpture also launched a variety of new gels that will cater to different client types. “We realize that different nails have different needs, just like hair,” said international head of education Vanessa Venter, who demoed the new gels at the event. These gels fall into three categories — flexible gels, medium gels, and solid gels — so that nail techs and clients can pick the gel that’s appropriate for a specific clients’ nail plate type and lifestyle choices, thereby lessening the chance of lifting. “We’re not just enhancing the client’s nails but enhancing her lifestyle,” Venter said. For instance, for a client who’s craving the “solid” feel of acrylics or wraps, the less flexible “solid gels” would be the best match. After the demo, Bio Sculpture had a treat for its educators (who were in California for the entire week for additional training) and other guests. We got to bottle our own wine to take home! 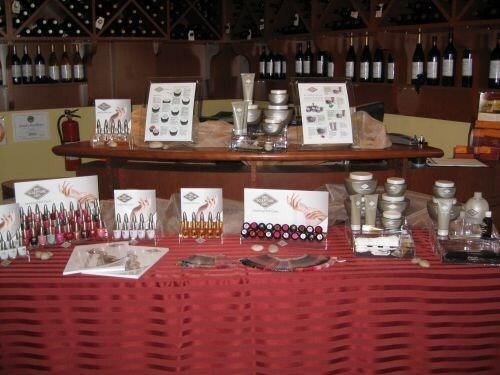 The event was at The Wine Artist Winery in Lake Forest, Calif., where they host “bottle your own wine” parties. 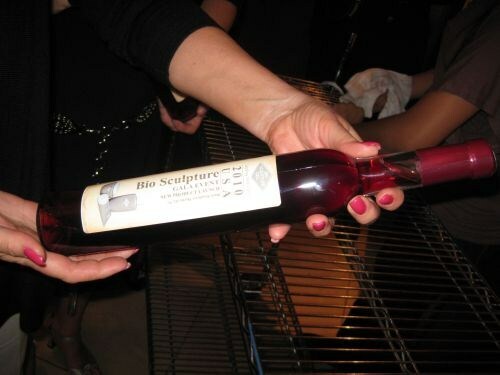 We each grabbed a glass bottle, held is up to a soda-fountain-esque area, activated a corking machine, let a winery employee seal the cork with heat, then applied a prepared “Bio Sculpture Gala Event” sticker on it — I’m looking forward to drinking my “Red Velvet” wine in the next few weeks!